What is the XLR Thing, Anyway? That may be confusing at first blush—especially for anyone who isn’t familiar with XLR and what it’s good for. 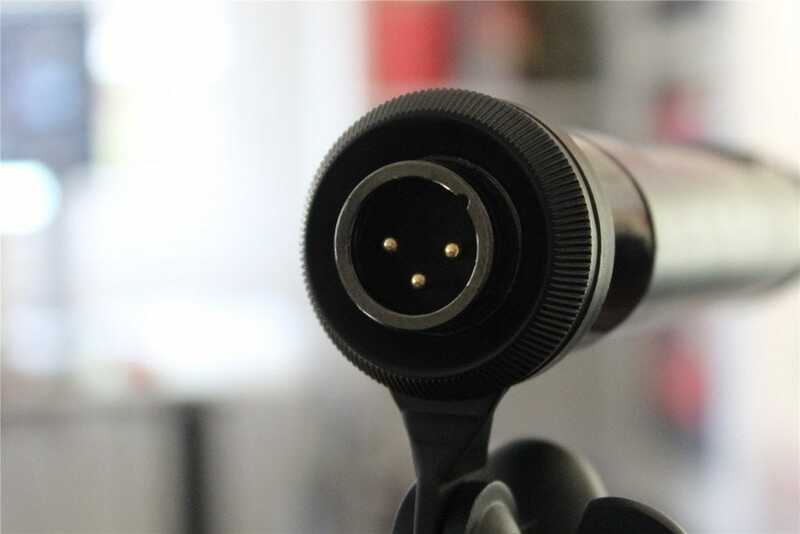 While I’ll be happy to give you the quick and dirty explanation of XLR just below, there’s also an excellent explainer on XLR technology at our sister site, How-to Geek. If you’re looking for the nitty-gritty on XLR, that’s where you’ll find it. In short, XLR is a type of input (it stands for X connector, Locking connector, and Rubber boot, but that’s honestly not important) designed for high-quality inputs. It sends a balanced signal that isolates noise, which makes for smoother, crisper, and overall better audio. Sounds good, right? It is! But there’s a catch: it’s not as simple as plugging it into your PC, and everything is good to go. You’ll need some sort of interface to use XLR, be it a powered mixer or a dedicated audio interface. Great, So What’s the Ember All About? 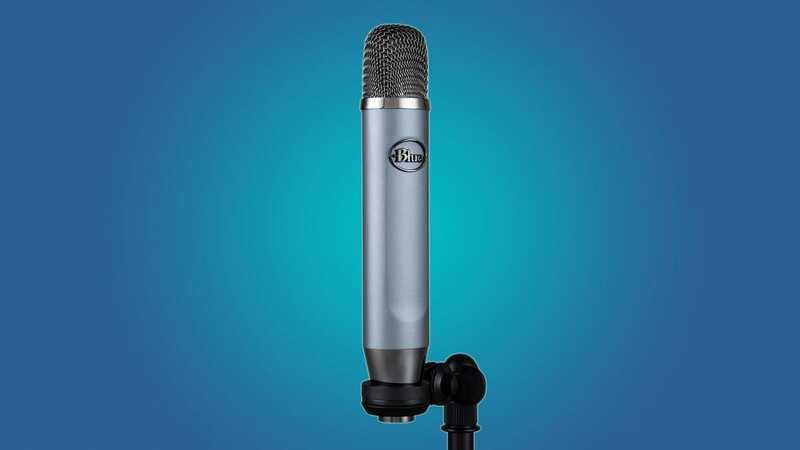 The Ember is Blue’s most affordable XLR mic for home recording, podcasters, and live streaming. The company has the equally-affordable Encore 100, but that mic is designed for singers. 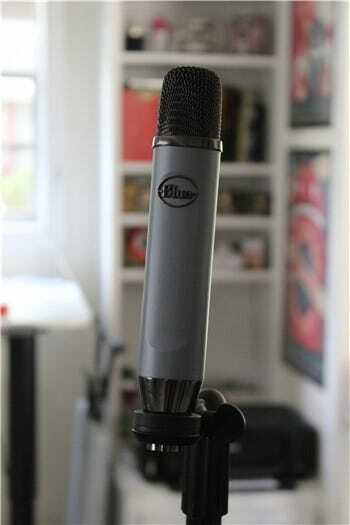 Before the Ember, if you wanted to get into the XLR audio thing from Blue, you’d be looking at the $199 Spark. That’s twice the cost of the Ember. As for the Ember’s details, it’s a simple condenser mic with a tight cardioid pattern which means the sensitive area is at the front of the mic to keep background noise to a minimum. The grille itself also works as a sort of mini pop filter, which will soften the pop often associated with Ps and Ts, especially for those who aren’t used to actively trying to soften this emphasis with their own voice. Basically, that means the Ember sounds excellent without the need for an additional pop filter (though you can still add one if you’d like). 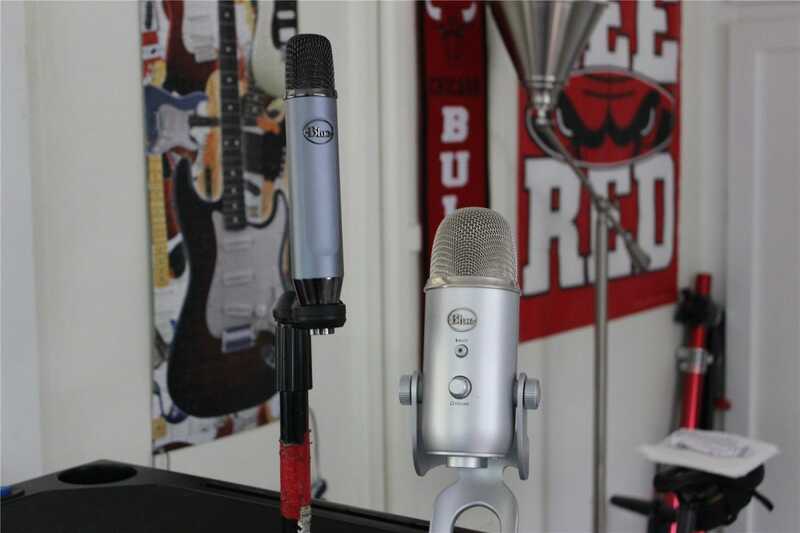 It ships with the mic itself and an adapter for use on a mic stand. That means you have to provide your own XLR cable and interface, which is pretty standard for this type of mic. It’s also worth noting that this mic doesn’t have any of the extra bells and whistles you may be used to seeing on USB mics like the Yeti—like a gain control or various headphone jack. Your interface handles all those things. When it comes to using the Ember, well, it takes a bit more work to get everything dialed in compared to a USB-powered mic, but the result is worth it. You can get a crisp, clean, and smooth sound that works so well for the type of application the Ember is designed for. I recently used the Ember as a guest on TWiT’s All About Android, so if you’re interested in hearing a sample, you can check that out. This was an excellent opportunity for a “trial by fire” with the Ember—I would typically turn to my tried and true Blue Yeti for such an occasion. I came away from the Ember incredibly impressed with the audio output. With minimal setup—I already have a couple of audio interfaces and XLR cables since I’m also a musician (I use this term sparingly)—I was able to capture very high-quality audio. The first word that comes to mind for me is smooth—it really took the edge off of my words, especially where hard consonants may have otherwise been present. I used the iRig Duo as the primary audio interface with the Ember, which retails for about $200. That puts it on the more affordable end of audio interfaces, which proves that you don’t have to spend an absolute ton of money to get started with XLR—for less than $400, you can get an interface, XLR cable, mic stand, and Ember. That’s all you need. Granted, $400 is still a fairly steep entry price, especially when you can get a Yeti for $129 or a Yeti Nano for $99. Still, if you’re looking for more from your setup—more versatility, more usefulness—it’s hard to beat a good XLR mic. And when it comes to getting a good XLR mic for podcasting and such, you’re going to have a hard time beating the Ember.